Hot dog! It's home tour day!! 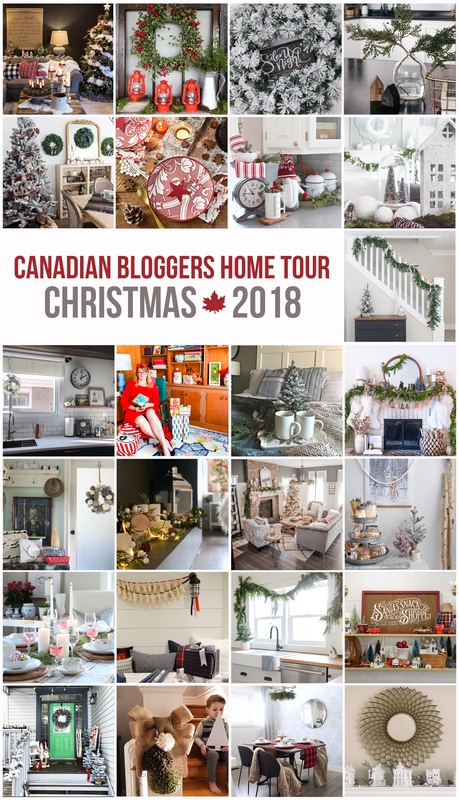 I am so excited to be participating in this installment of the Canadian Bloggers Home Tour. I got to sneak in at the last minute, and I want to thank Christina and Shannon for hosting this collection of tours. It's so amazing to be able to see everyone's different takes on holiday decorating all corralled into one place. Make sure you pop over to everyone else's tours through the links at the bottom of the post. Ok, on with the tour. I don't usually try to theme my decor, or really have any of a plan at all. I usually just put all the things up, and it usually works-ish. This year, though, I decided I needed a plan just to pull things together. I had a dark and moody board all put together and I thought that was it. 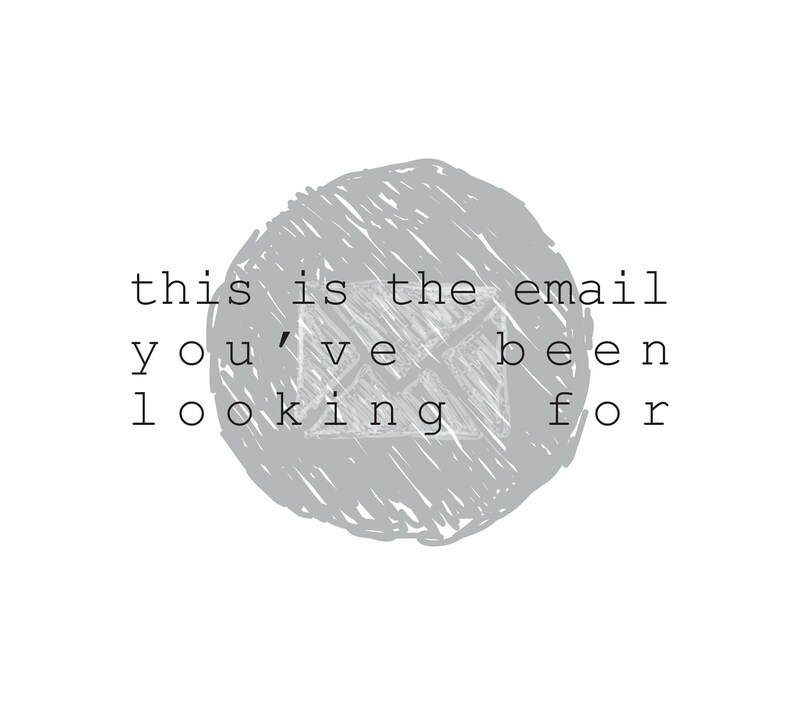 Until I was scrolling through Anthropologie's website. 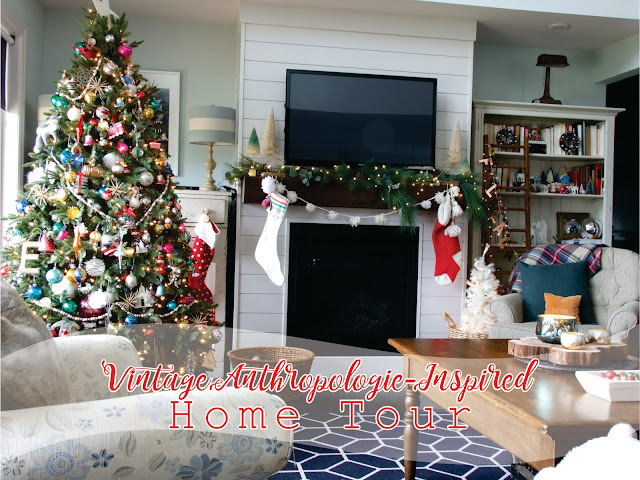 I saw all the fun, quirky things they had for their holiday collection and decided-I'm going for it- an eclectic mix of colour, vintage and quirky bits, using all the things I already had. Hold onto your coffee cups friends. This ain't a simple Christmas. I think Buddy the Elf and Clark Griswold would be proud. My little flocked tree in the entry is super old- it was mine when I lived at home with my mom and dad. I popped it into a basket that was in my daughter's room, and nestled it beside my antique seed cupboard. It casts just the right warm glow at the bottom of the stairs. The wreath on the front door I made myself with a grapevine wreath I thrifted and some cuttings I picked up at the grocery store. And then on this side of the entry, I have old Lord Nelson in a bit of a snow storm but he's got his hat and scarf on, so he'll be fine. The little paper village on top of my coat rack is a printable from Alice Wingerden click here to grab this cutie for yourself. If you follow me on Instagram, you'll know that my dad and I planked this wall in our dining area last month. I am still just as in love with it. It adds some character and texture and it cost less than $100. This little guy isn't vintage but he sure looks like it to me. I grabbed him at Michael's (on sale!) a couple of weeks ago. So it's an Anthropologie inspired Christmas, and I had to have something actually from there. This advent calendar is even more lovely in person. (and boo, it's not online anymore) I have treats tucked into each day that the kiddos share. I've only had one complaint, but then her brother gladly ate the offensive treat. Displaying photos of the kiddos from Christmases past is a must for me. This year, I hung them from this chain garland along with some vintage sign letters. It makes me smile whenever I looked at these cuties, and get a little misty when I realize how big they've gotten right in front of my eyes. What is a home tour without flowers, my friends? Real life? Yes. But we're pretending that my island isn't covered in crap during this photo shoot, so let's pretend I usually have flowers too. Because I had a brain blip, I didn't get to my favourite little flower place around the corner in time. So I had to grab two $7 bunches of carnations at the grocery store. I grabbed an assortment of jars from my cupboards (I have a stockpile of jars, don't get Tim started on it unless you have a hour to kill) and some cedar pieces from my porch decor and put together these sweet little pops of colour. I criss crossed runners guys. I totally did. You don't have to do everything the way you're supposed to. If a wild hair hits you, go for it. I'm talking a lot here, so I'm going to try to catch my breath and let you have a boo at my living room and (embarassingly) large collection of thrifted glass ornaments. See my new old door down the hall. It's so good. I was unloading more boxes of ornaments and didn't have anywhere to put the beauties, so I put them in this big old basket I thrifted. I love them like this and will do it every year. You're getting a look upstairs at the loft this year. 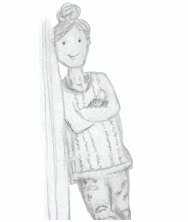 I didn't decorate the kids' rooms this year, because I would have gotten way too miserable if I had attempted to navigate the messes. Instead, I put up another tree- with coloured lights- that they put all their own ornaments on. And I pretty much love it. The wall hanging is a piece of wrapping paper that I stapled to two pieces of wood and hung with some twine. I have to find something for the rest of the year now, cause I like this so much. My daughter LOVES nutcrackers. She has amassed quite a collection in her 8 years, and we put them on the dresser that serves as a TV console. So she can see them, and I don't have to. I hate nutcrackers. They're creepy little jerks. I hope you enjoyed your little tour of our Christmas home. It's my favourite season- for so many reasons. I hope to share my Christmas kitchen with you next week (yes, there's more) but until then pour another cup and turn on some Leslie Odom Jr. and go check out the rest of the tours! Your décor is like mine! I have fun bright colors this year too! Love yours! It's absolutely perfect! LOVE the mix of colours - everything about this just feels so cozy and nostalgic! Happy holidays! I love your holiday home! So many beautiful pops of colour. Love how to put everything together :) Happy holidays! totally adorable! I love all the pops of colour, and your bowls of ornaments make me happy! I feel like I would enjoy it even more in person too! I love everything about this! So adorable and fun. I definitely think Buddy and Clark would be proud of your decorating! Your home looks stunning...so many lovely details...that bowl of ornaments, the nutcrackers...everything! Merry Christmas to you! Such a pretty tour. Love your Antro inspired style -the wrapping paper wall hanging, all the beautiful vintage ornaments, and the colour. So happy and fun! Yes, I think they would be proud of your tour! So festive and colourful! Merry Christmas! Such a FUN tour!! I love that you have gone all out- it's so festive and merry. Love your fireplace too. Beautiful. Merry Christmas!